Need the instrustion booklet, or can I download the booklet on how to use the Yamaha PSR 292. Want to use it in the nursing home that bougt it. Can not find the instruction manual. 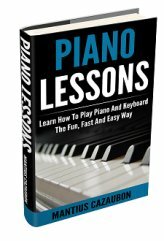 Dear Deborah: Access Yamaha.com and thread your way to site for Manuals. They are likely to have a (free?) download. Good luck. In the appropriate box type the model of your keyboard and you can download a manual in PDF-format. Meaning you have to have ADOBE PDF- reader to be able to read it. If you don't have it you can download it for free from the ADOBE websites. Join in and write your own page! It's easy to do. How? 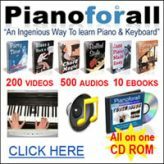 Simply click here to return to Learn To Play The Keyboard & Piano - Discussions.